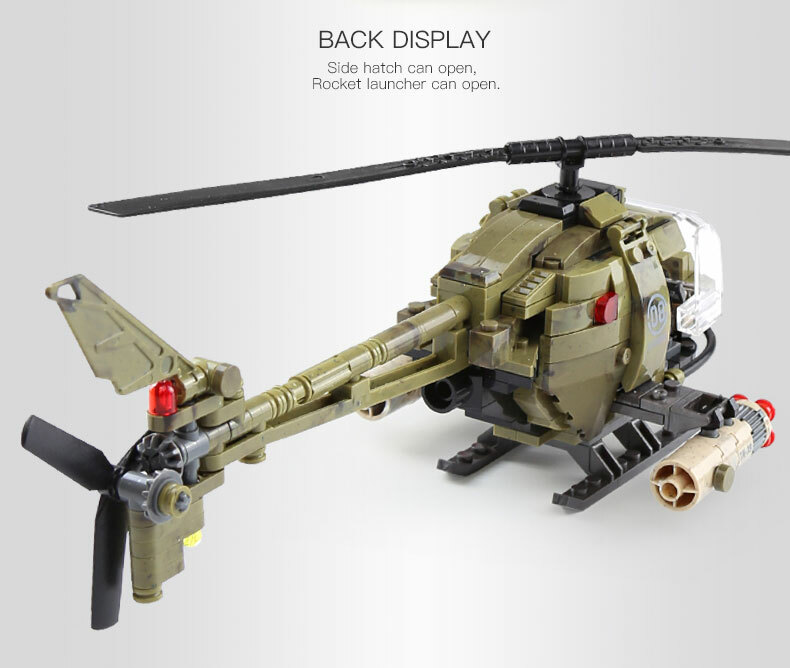 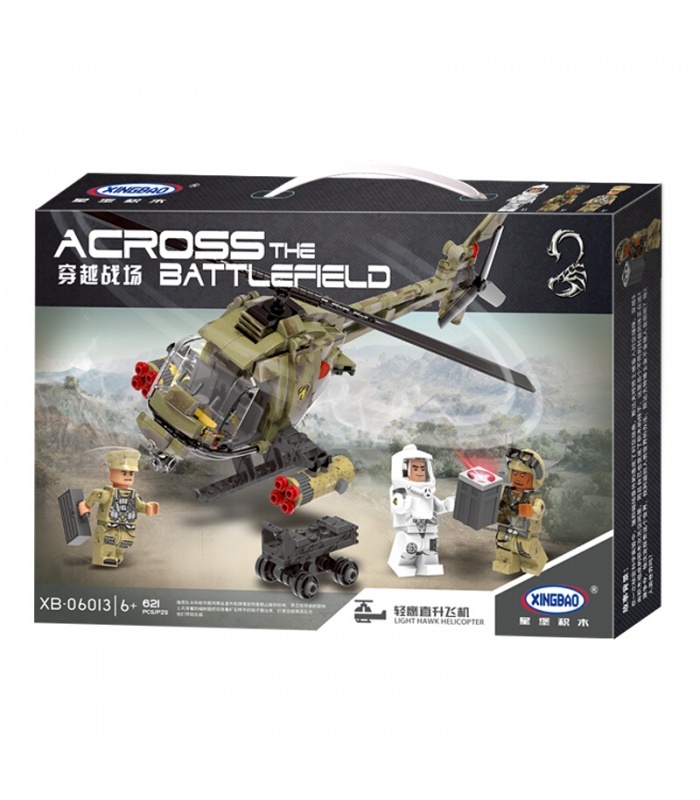 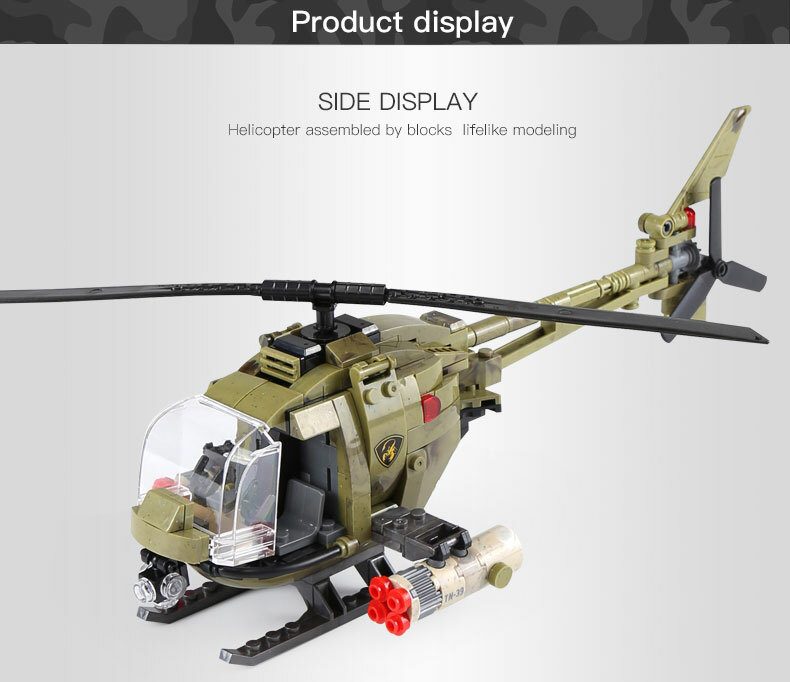 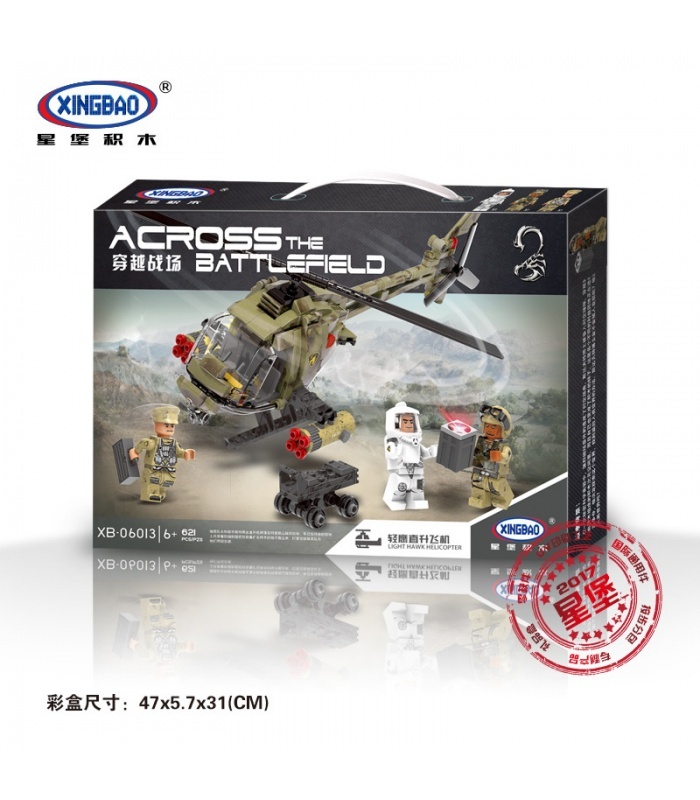 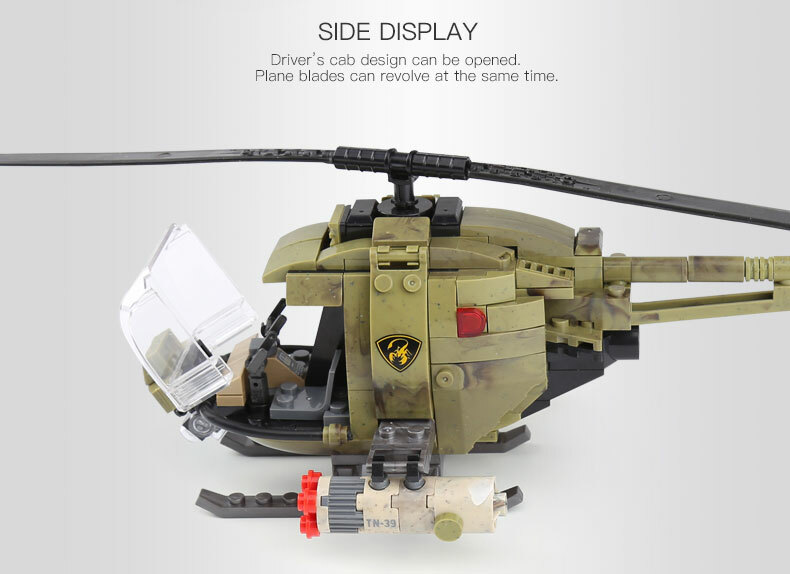 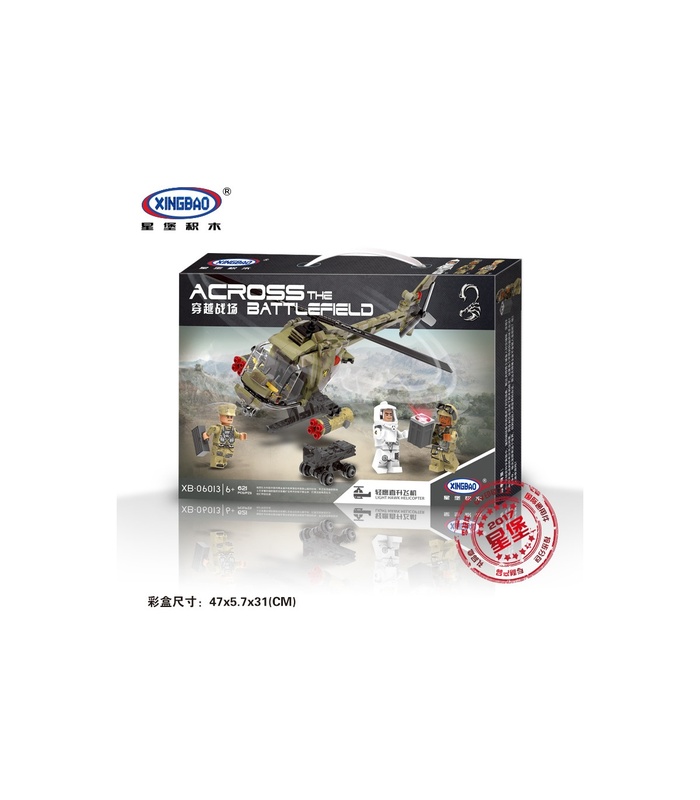 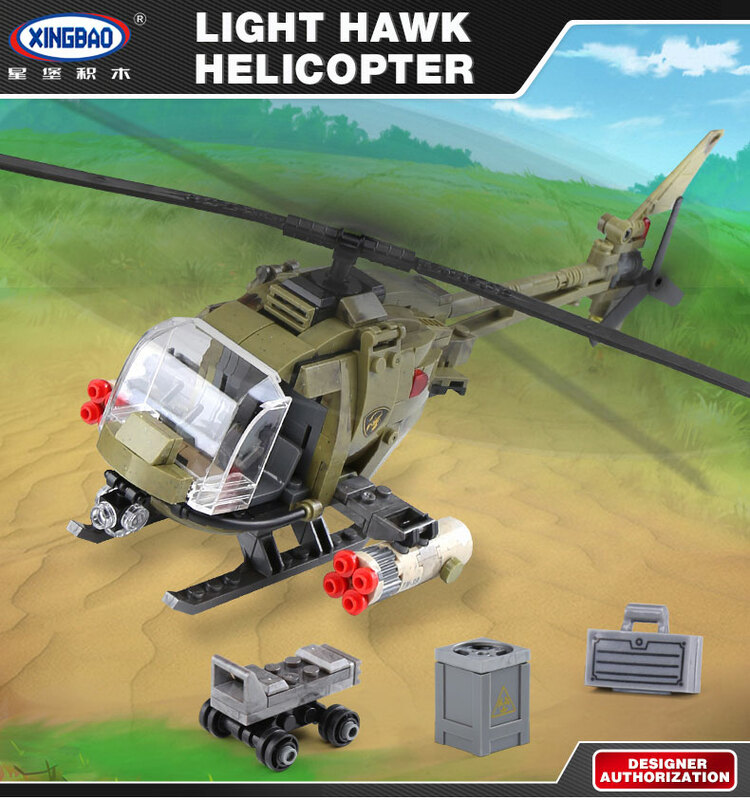 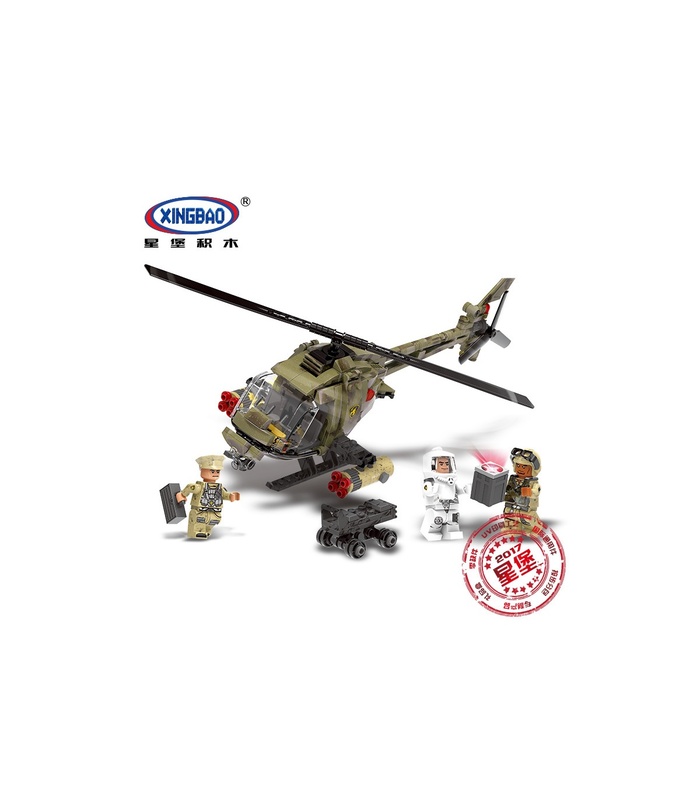 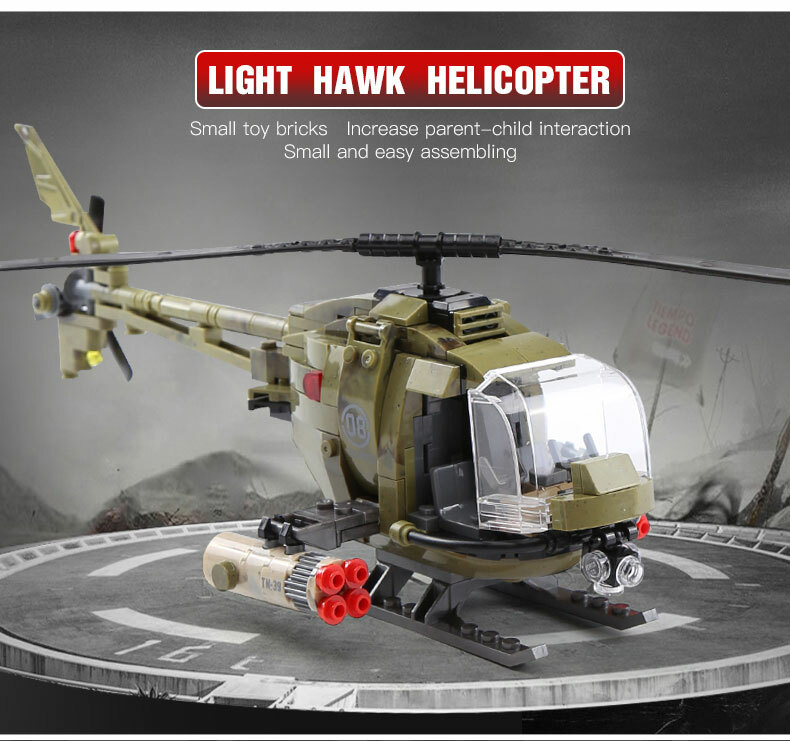 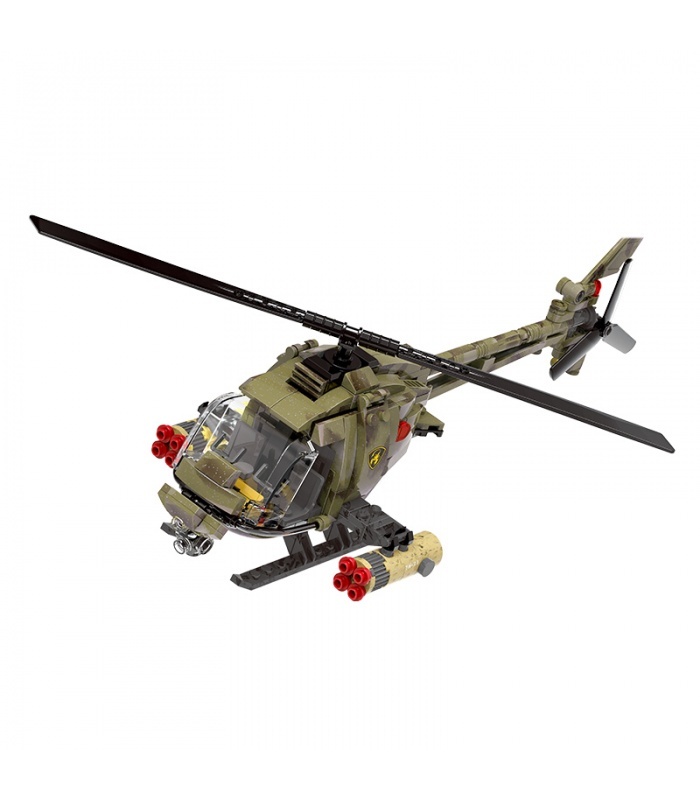 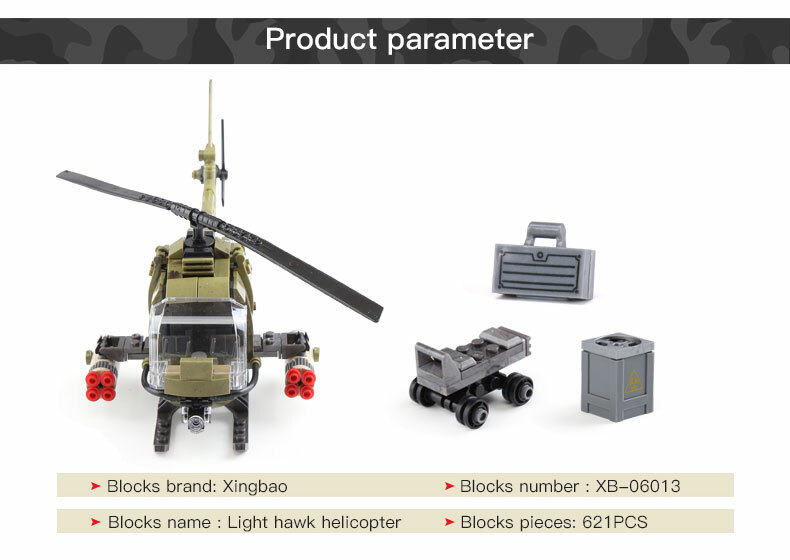 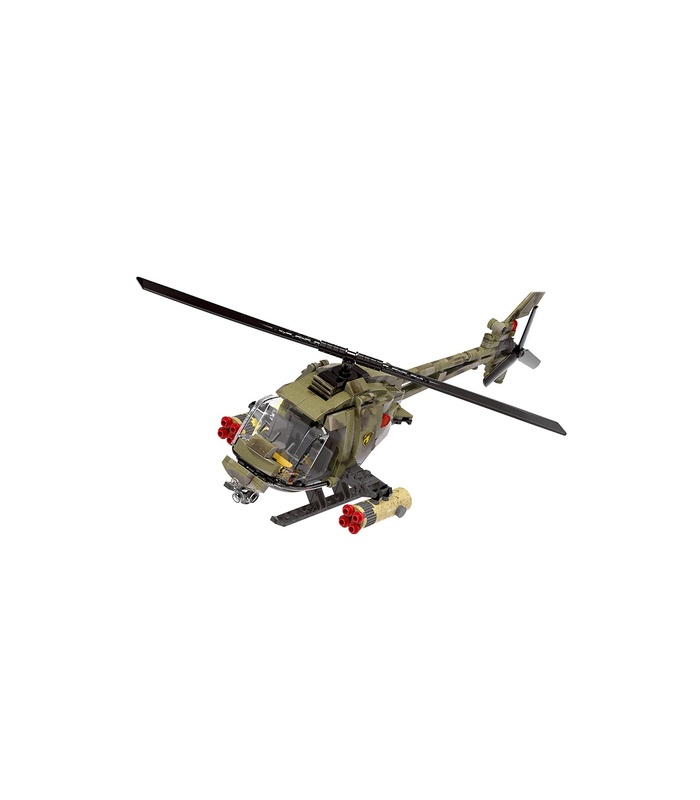 XINGBAO 06013 Light Hawk Helicopter is a MOC (My Own Creation) building blocks set which is 100% compatible with all major brands building bricks. 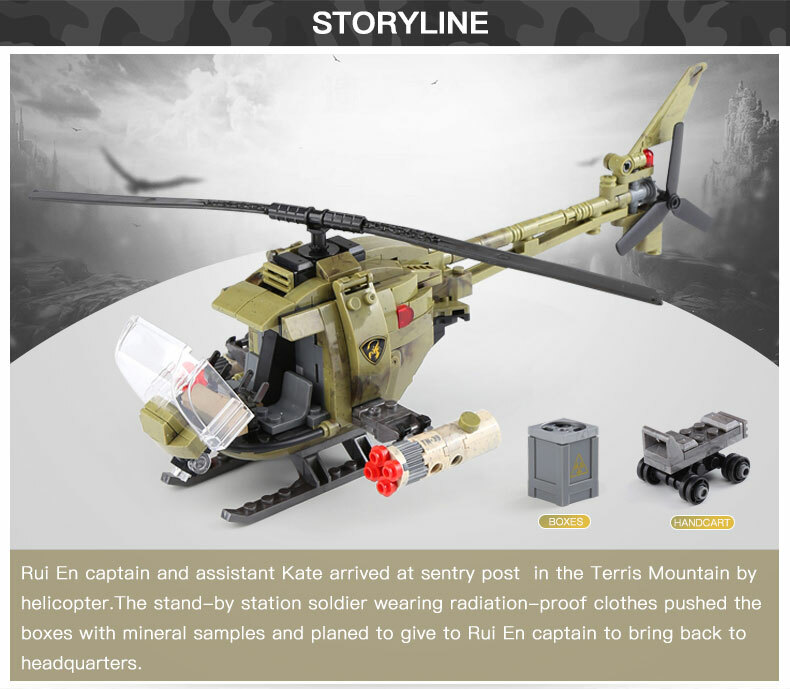 Ryan captain and assistant Kate landed in the Tris Mountain range by helicopter. 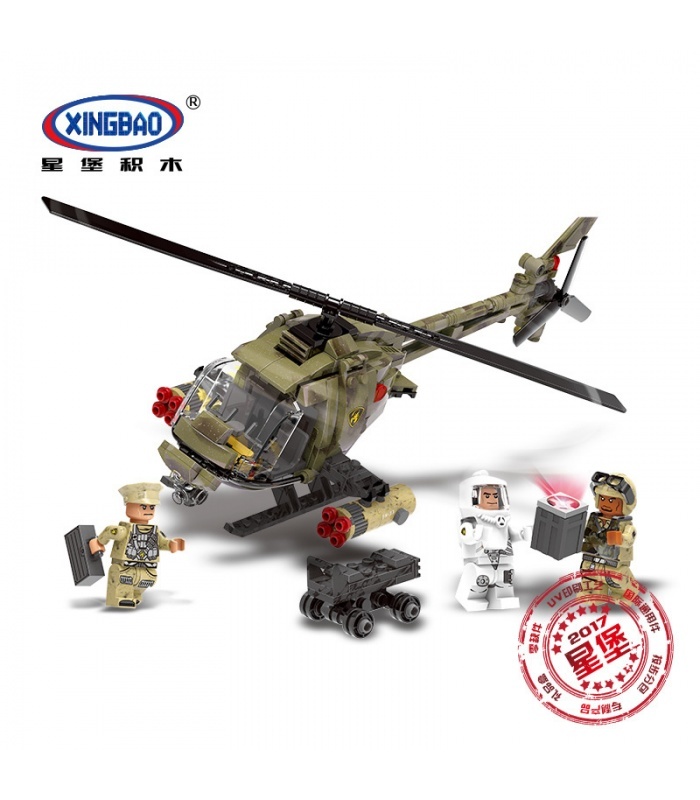 The resident soldiers who had been on standby were wearing radiation-proof clothing and pushed out the boxes containing the samples of the ore. 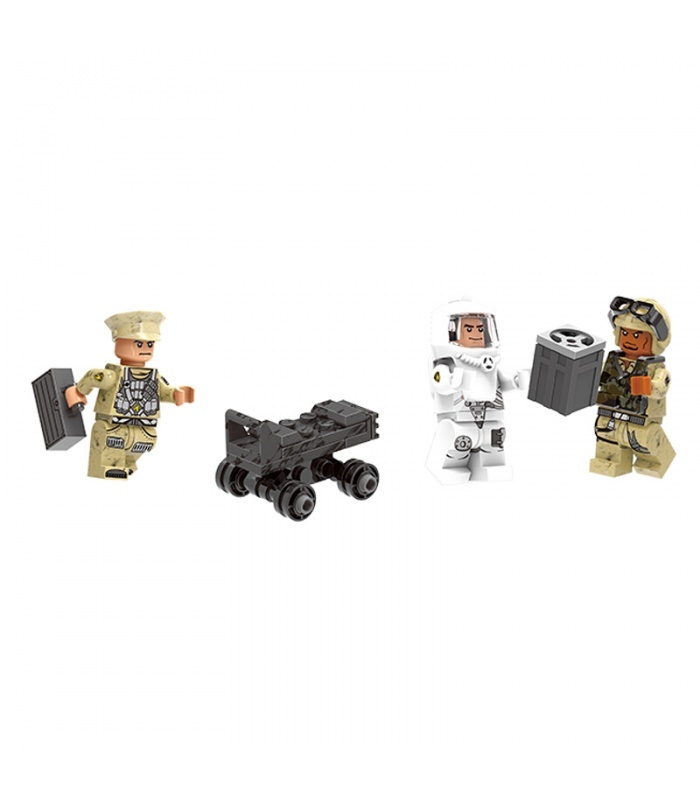 They were going to hand them over to Ryan’s captain and bring them back to the headquarters. 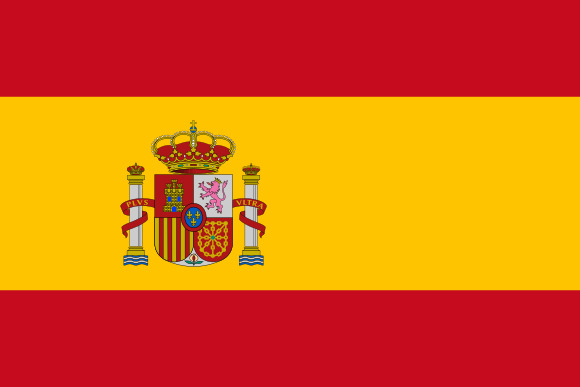 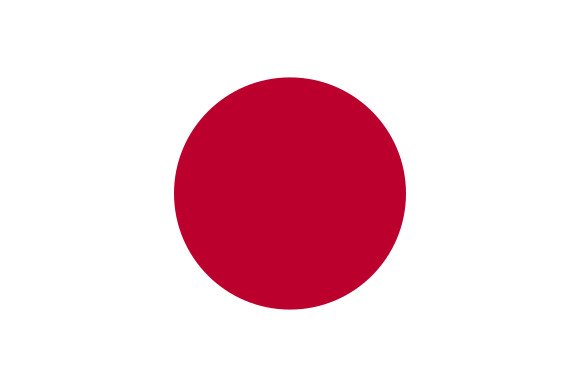 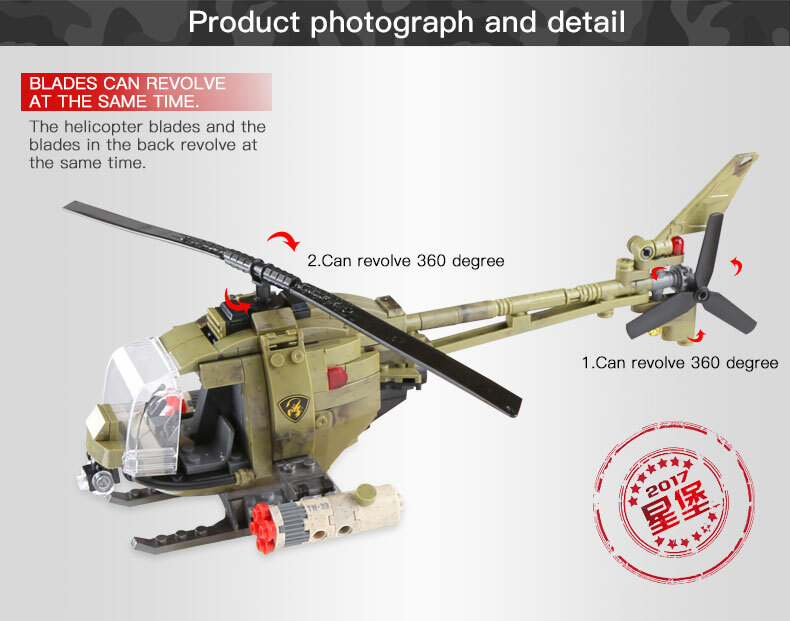 • While the main propeller of the helicopter is rotating, the auxiliary propeller at the tail also rotates. 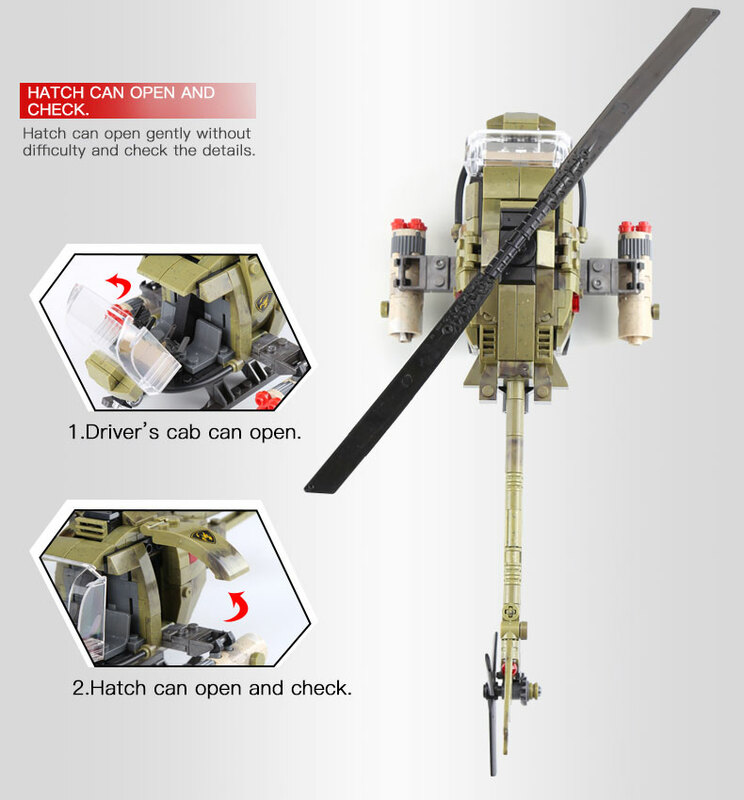 • The helicopter door can be opened to see the details inside. 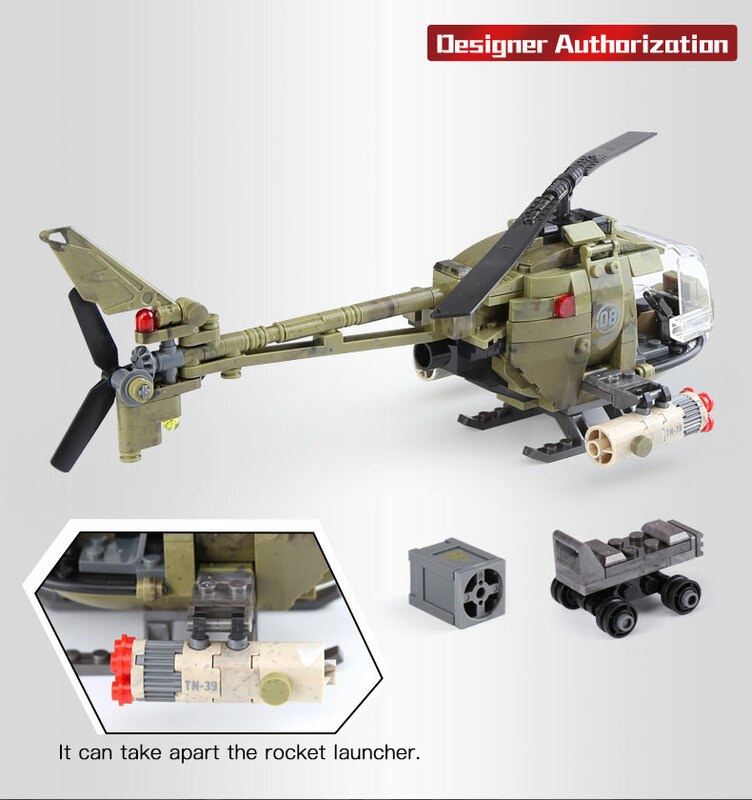 • The side door can be opened and the rocket launcher can be removed. 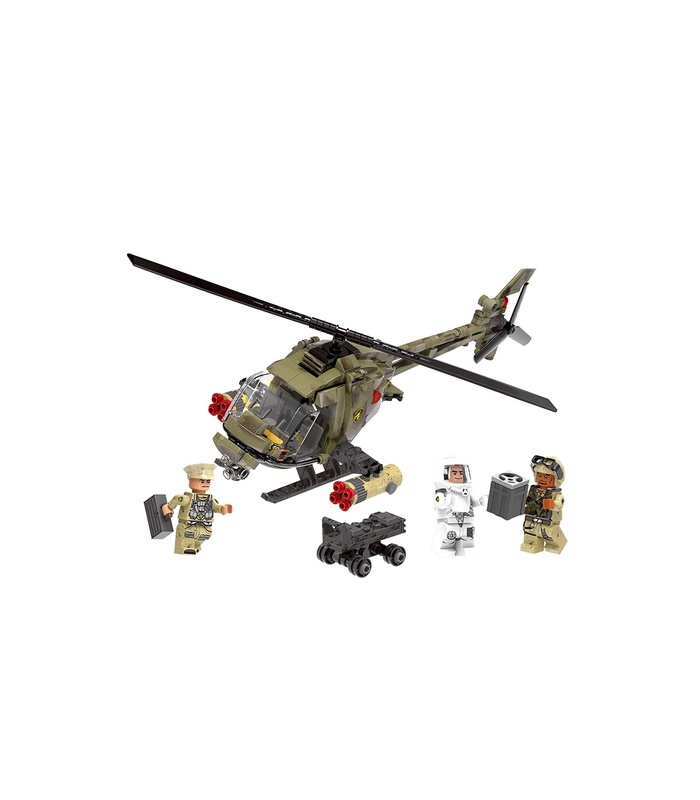 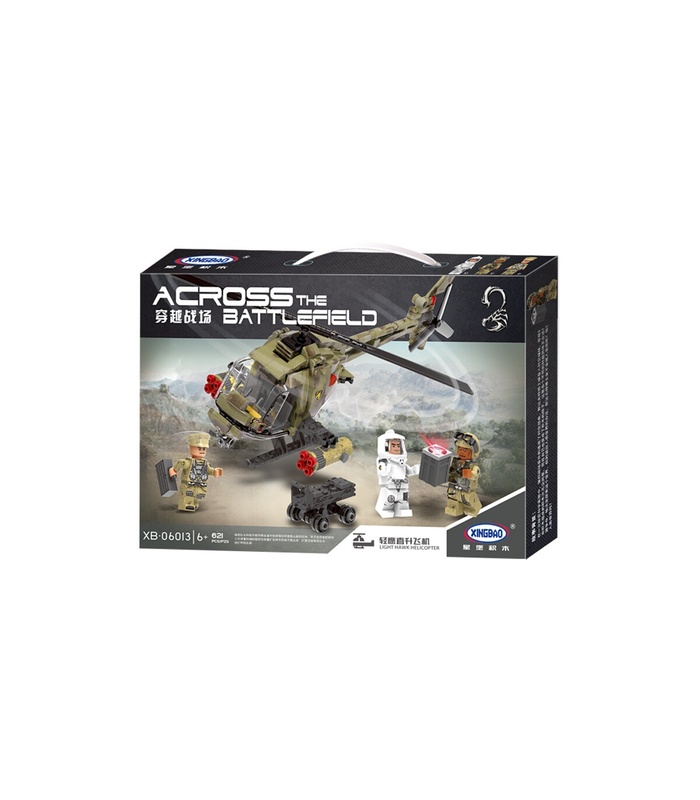 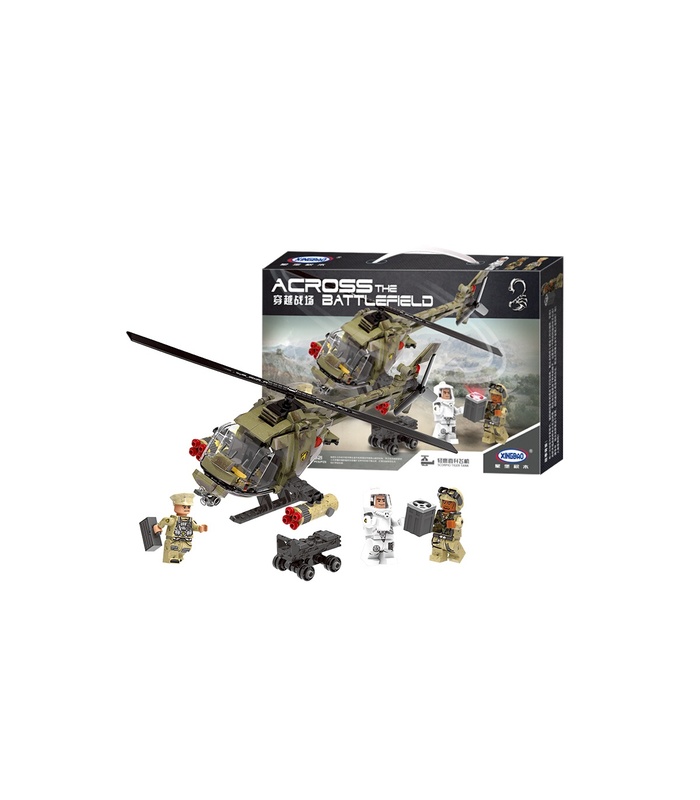 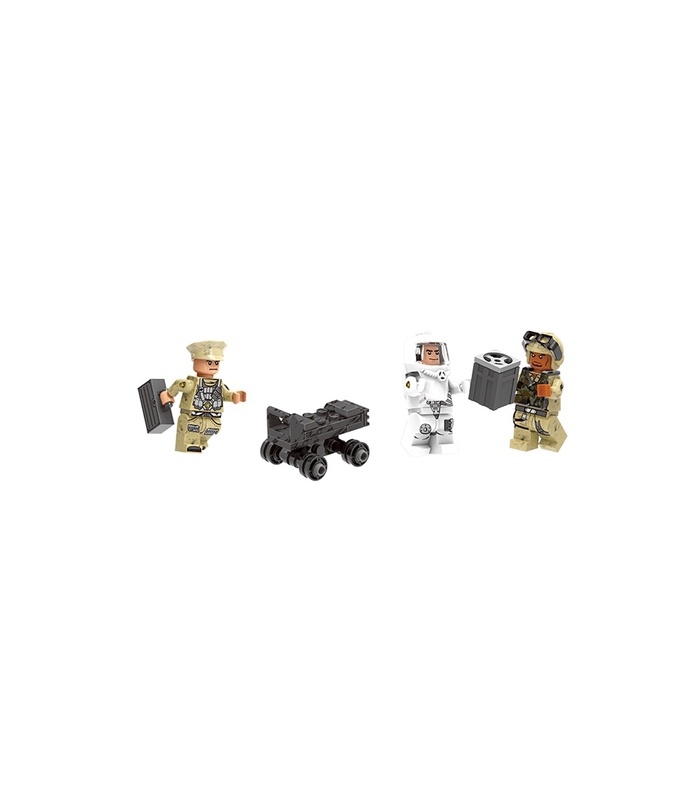 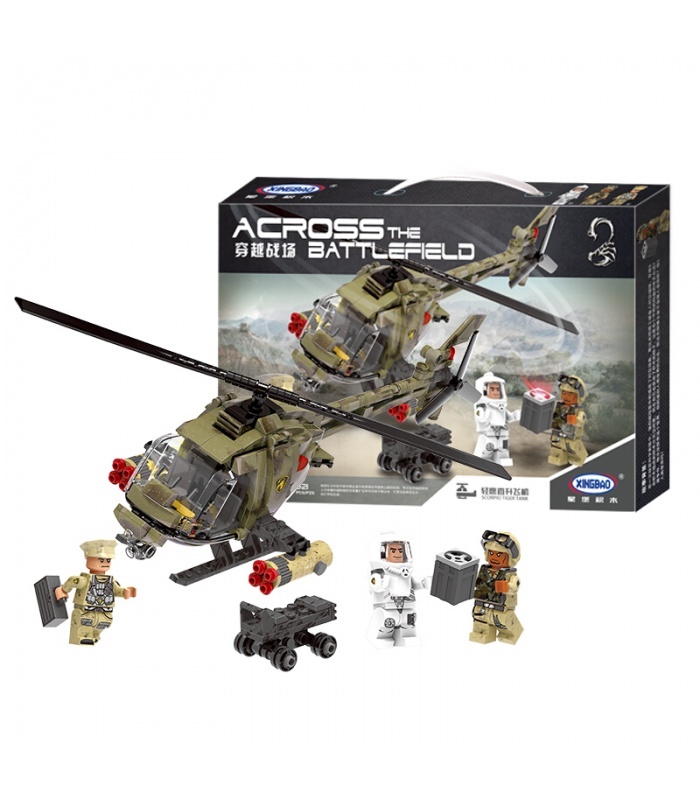 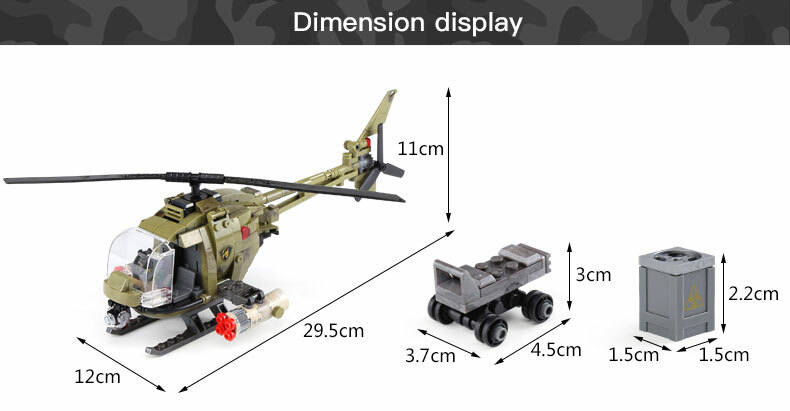 • This set is compatible with brand bricks and contains over 621 pieces.